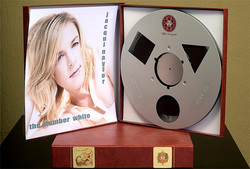 When Paul Stubblebine and Michael Romanowsky – two experienced Californian mastering Engineers – started a limited production of commercial Master Tape derived from the original masters of the golden age of the analog recording, nobody would have been able to foresee that (in few years) the producers and users of such Tapes enthusiastic feedback would have been strong enough to rediscover and revive a true treasure: The industrial standard for music production adopted until the mid-eighties, after which it had been prematurely abandoned thru the use of digital technology (with its enormous cost-cutting opportunities).Without a shadow of a doubt, both engineers were well aware of the Master Tape formats capabilities. Obviously being part of a small niche of practical professionals with decades of experience knowing analog tapes inside out, they have never stopped using them (nowadays perhaps only in the mix finalization and mastering stages). The same type of awareness is well spread also amongst radio station (broadcasting) professionals from the days of ‘pirate radios’, amongst the numerous artists that in those years were making songs at home (whilst dreaming about having the availability of a 2-inch analogue multitrack recorder) and, generally speaking, amongst all, that for any reason, have been in exposed to the music industry before the nineties. Ironically, the Master Tape format great potential of performance the has not been well known by Audiophiles. 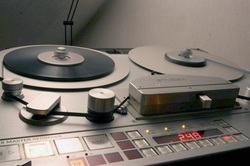 This being due to the fact that, at the time, the Master Tape format (that accounts for a minimum of 1/8 inches wide tracks and 15 inches per second of tape play speed) was only available to Vinyl and Compact Cassette Recording studios (these representing the main market for such recording & reproduction). track width and 3.75 inches per second of tape play speed). I will deepen the important technical and sonic implications deriving from the reduction of track width and tape speed in another article. Here, I would like to invite all, that have had calibrated their listening experience of a 4-tracks open reel (or, even worse, on that of the Compact Cassette), to reset their opinions on analog sound quality. Having the opportunity to listen to a Master Tape (much more accessible nowadays) you will be able to build up a fresh new opinion on its unparalleled sound quality. 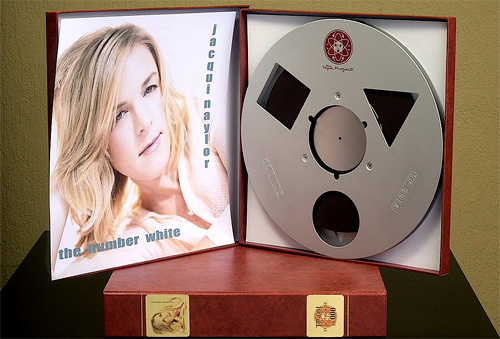 In fact, besides the commercial products coming from these “new pioneers”, Master Tapes have also started being distributed outside the closed circle of professional recording, reaching the high-end segment of the Audiophile market. Today, new entirely analog recordings produced with state of the art techniques and equipment, are also available in Italy. - The first is that, as occurred with Vinyl, another analog technology given as ‘extinguished’ already at the end of the eighties is actually well far from gone. - The second and one I care about most, is that analog magnetic recording and reproduction is still the reference measure today for every other audio format and technology. This is quite surprising considering that more than thirty years have passed since the pushy introduction of digital technology (as an industrial and consumer standard). Above all considering that analog/magnetic technology progress has not been fueled (remaining at the state of the art reached at the end of the eighties) while digital technology has continuously evolved. 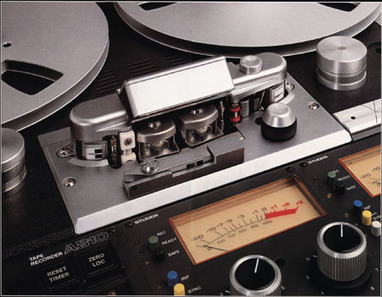 The purpose of this section will be to open a window on this fascinating and diverse world of high-performance analog magnetic recording and reproduction, providing information, testimony and tips that could be useful not only to whom has never seen an analog tape recorder in action, but also to whom already knows and uses this format.